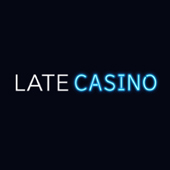 Late Casino was launched in 2019, and is operated by Jumpman Gaming Ltd, a group which runs several other casinos. A beautiful cityscape greets you on the front page, showing the beauty of modern architecture under the night’s sky. The front page further tempts you with promises of great slots and a welcome bonus for new players. The operator is licensed in two countries. In the UK by the United Kingdom Gambling Commission. Outside of Great Britain, gamblers fall under the jurisdiction of the Alderney Gambling Control Commission, where the operator’s other license comes from. Like other Jumpman casinos, your data is kept secure using encryption, firewalls and access control policies. The casino does not hide the fact it is all about video slots. On the very first page, it shows the very best slots it can offer to players. Open the games tab, and you will notice the vast majority of all available titles are video slots. There’s an impressive range of games available. From the classics everyone still loves to play, to brand new releases by prominent software providers. Promotions will be quite familiar to anyone who previously played at casinos run by this operator. There’s the promise of winning up to 500 free spins and a new players cashback. Existing gamblers can enjoy Turbo Reel, which is their own version of the new player free spins bonus. VIPs, meanwhile, get to enjoy their own cashback promotion. Furthermore, the very best players will find themselves treated to pizzas, free spins, or Amazon vouchers! Despite claiming to have over 700 games, Late Casino had a total of 651 available games at the time we wrote this review. We really do not peg Jumpman Gaming as liars – they are quite open about their flaws. We believe this may be a typo on their end, though one that has been on the website for over a month now. With so many games, it can be difficult to find what you like. The casino does not have reviews or demo versions for players to try. Either looking for reviews or demo versions will lead them off-site, and possibly into the arms of another casino. If the operator hopes to fix this, they need to add more categories to the filter list. On top of that, adding reviews or demo versions will to wonders for gambler engagement. On the front page of Late Casino, they boast about having the best video slots by NetEnt, Microgaming and Pragmatic. We were also able to track down games by other developers, like Yggdrasil, Playson, Big Time Gaming and many others. There are a total of 42 jackpot slots available to players. Best we can tell, most of these are modified versions of existing games. None of them have a ticking progressive jackpot, however! Gamblers hoping for that kind of thrill chasing will have to find another casino to cater to their needs. The table games offering is rather anaemic. It was never Jumpman Gaming’s strong suit, and they did nothing to rectify it here. There’s one blackjack game, three roulette titles, and that’s all. No baccarat or poker for fans of those games. Live casino titles are also missing from the library of offered games. We were unable to find any arcade games among the huge list of games. Since they do not have their own category, any titles that are available get lost in the sea of slots. In the bingo category, there are a total of five bingo games. Some are played daily or hourly, while others are played once a month. And since you can only play them once a month, the number shrinks down to three. You can use the follows deposit methods at Late Casino: Visa, MasterCard, Maestro, Paysafe Card, Pay by Mobile and Paypal. You can have a total of three payment cards attached to your account. The operator only accepts GBP for both deposits and withdrawals. The available payment methods are somewhat limited compared to other casinos. After your first deposit, there is a 48 hour period during which you cannot make any withdrawals. The same rule applies when you add a new payment method. All promotions, unless otherwise stated, come with a £250 bonus conversion cap. After meeting wagering requirements, a maximum of £250 worth of bonus money becomes real money. Any extra bonus funds are wiped from the player’s account. When you decide to withdraw money, there is a 72 hour waiting period during which your withdrawal can be cancelled. After the time passes, it usually takes between 1 to 3 working days for the money to appear in your account. We believe that the pending period can be shortened a fair bit – 3 days lasts too long, in our opinion. Jumpman Gaming meets the UKGC’s customer fund segregation requirements at the level of basic segregation. That means all player funds are kept on a separate account from the company’s own funds. However, these funds are not protected should the casino go under. The casino is focused on British players. As a result, it falls under the jurisdiction of the United Kingdom Gambling Commission and must obey all of its rules. Any non-British gamblers fall under the jurisdiction of the Alderney Gambling Control Commission. Late Casino promises to keep all your data secure using firewalls, access control policies and encryption. The operator is also compliant with ISO/IEC 27001:2013 standards according to third party security audits. We were quite pleased with the FAQ the casino makes available. It openly answers several questions about deposits, withdrawals and promotions. We appreciate the transparency on Jumpman Gaming’s part. If something does go awry, players can reach out via live messaging or e-mail. There is no phone number that gamblers can call to reach Late Casino. The casino also lacks any social media presence. There’s really nothing new to tempt gamblers into joining the Jumpman line of casinos. The operator still has one of the best slots selections in the UK, but lacks any live or table games. The lack of variety won’t bother slot veterans, but players are more likely to seek a casino that caters to all their wants. It’s not just expanding the library of available games, however. The bonus conversion and the limited available payment methods hurt the casino’s viability for foreign gamblers. Until it fixes those problems, this casino will always be late to the party.